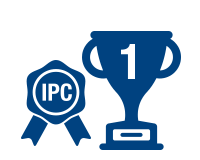 Founded in 1983, Advantech is a leading provider of innovative products, services, and solutions. Dominant in the global industrial PC market, Advantech offers a full portfolio of hardware equipped with CODESYS technology, which is the premier IEC 61131-3 automation software for developing and engineering controller applications. 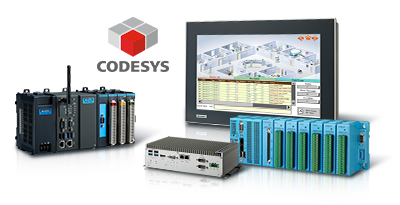 Advantech’s CODESYS solutions provide system integrators and automation vendors with highly reliable and innovative technologies, control and fieldbus I/O systems, as well as application-ready platforms. Advantech is committed to producing optimized hardware-software solutions that enable system integrators to easily develop IoT and Industry 4.0 applications. Advantech’s CODESYS solutions comprise a full range of products, controllers, and fieldbus I/O modules. Four types of controllers are included; specifically, the ADAM entry-level controller, APAX modular controller, UNO embedded PC controller, and TPC panel PC controller. 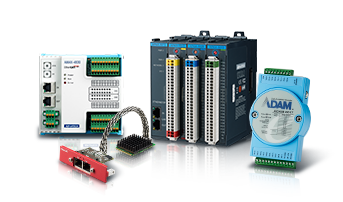 We also offer several fieldbus and I/O products, such as remote and high-density I/O modules that support various real-time fieldbus protocols. Moreover, with the inclusion of iDoor technology, various fieldbus communication interfaces can be integrated into Advantech’s controller systems. Throughout its 33-year history, Advantech has been committed to delivering innovative industrial computing platforms and I/O technology. Having acquired a leading share of the industrial PC market, Advantech provides excellent platforms for various global industries and has sold over 1 million ADAM remote I/O modules worldwide. The high reliability of Advantech products is the key reason that consumers trust and include Advantech products in their application solutions. 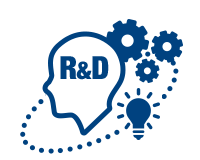 Advantech’s CODESYS solutions, aimed at satisfying customer needs even before they become apparent, have continually evolved ahead of the curve. With Advantech’s ongoing commitment to innovation, customers can expect to see diverse new technologies applied to Advantech’s CODESYS solutions for many years to come. Advantech’s CODESYS solutions comprise a comprehensive range of controllers, including small I/O ADAM, high-density I/O APAX, UNO embedded PC, and TPC panel controllers. Advantech has the product knowledge and industry experience to produce reliable and trusted controllers that support critical automation applications. 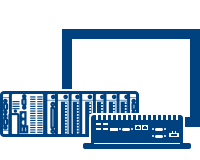 Advantech’s CODESYS solutions are a full portfolio of field-level products and solutions. In addition to competitive remote I/O modules that are easy to implement without a coupler, making them ideal for basic I/O extension, Advantech offers high-density APAX I/O modules with couplers and a flexible topology. Furthermore, Advantech controllers equipped with iDoor fieldbus modules can support various real-time fieldbus standards.